For a long time I’ve had friends call me Lucky Lindzon. I do think I’m lucky, but I also think you make your own luck. 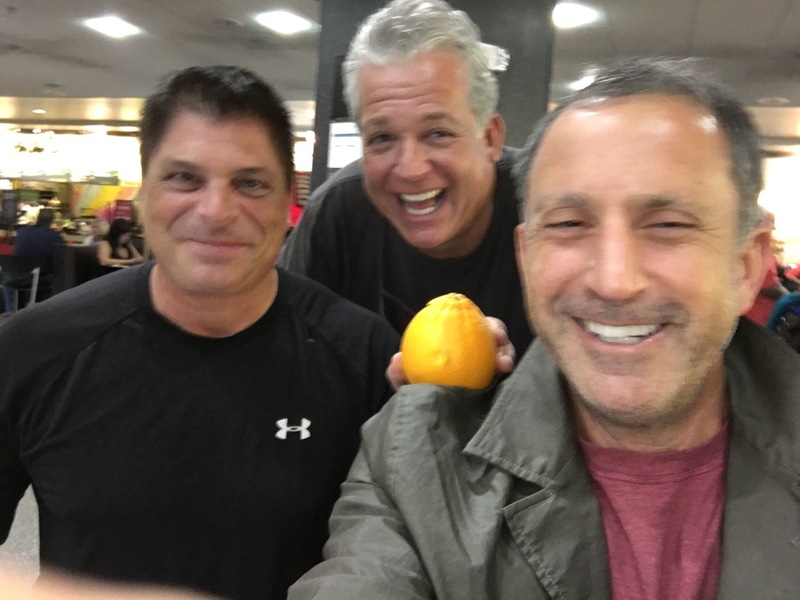 Last Sunday I was on a flight from Phoenix to San Francisco on my way to Bandon Dunes and I ran into some very old/great friends I had not seen in years… Mark Scatterday (middle) and David Spitzberg). They both live in Scottsdale now. Mark Scatterday is one of the greats. He has the best eye for consumer products I have ever met. I cold called him in 1992 while I was learning the brokerage business selling stocks and ended up spending the next six years with him building an incredible business around a product called ‘The Gripp’. He’s been working on a stealth product/platform for the marijuana industry that I can’t wait to see ship. David and I go back to high school in Toronto. He got me addicted to the world of triathlons in my 20’s and one of the best salespeople I know. He is also one of the funniest characters and best storytellers o have ever been around. When ‘The Gripp’ exploded in 1994 I called Dave and said pack your bags for Phoenix. He came to run sales and together Mark, David and I travelled the world setting up distribution and selling. Both Mark and David were on their way to Hong Kong and China sourcing products and talking to customers for their businesses. David today consults for all the big US retailers and buyers in Asia for toys. Mark has been going to China monthly for over 20 years and David for over 30. I’m lucky to have run into them (they randomly were running into each other on the plane as well ) and lucky to know them. We had an incredible stretch in the 1990’s with our products and I learned so much. One thing we dont have much of from that era is digital memories. I have no timeline to go back to with Mark and David just our foggy memories and mostly amazing stories. David used to keep everything sales in his Franklin day timer and Mark and I used to badger him to get a Palm Pilot and start inputting customer data and leads into ACT contact management software. One thing that does seem more intense is the stories and connections. Maybe it’s because we did not have the smartphone as a productivity/distraction tool as we grew the business. Maybe we were just that much more in the moment before the web. As for Lucky Lindzon…one cold call set this whole chain of events in motion. Lucky this!